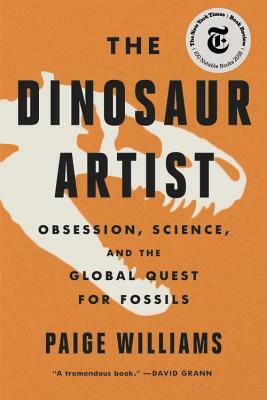 In this 2018 New York Times Notable Book, Paige Williams "does for fossils what Susan Orlean did for orchids" (Book Riot) in her account of one Florida man's reckless attempt to sell a dinosaur skeleton from Mongolia--a story "steeped in natural history, human nature, commerce, crime, science, and politics" (Rebecca Skloot). In 2012, a New York auction catalogue boasted an unusual offering: "a superb Tyrannosaurus skeleton." In fact, Lot 49135 consisted of a nearly complete T. bataar, a close cousin to the most famous animal that ever lived. The fossils now on display in a Manhattan event space had been unearthed in Mongolia, more than 6,000 miles away. At eight-feet high and twenty-four feet long, the specimen was spectacular, and when the gavel sounded, the winning bid was over $1 million. Eric Prokopi, a thirty-eight-year-old Floridian, was the man who had brought this extraordinary skeleton to market. A onetime collegiate-level swimmer who spent his teenage years diving for shark teeth, Prokopi's singular obsession with fossils fueled a thriving business hunting, preparing, and selling specimens, to clients ranging from natural history museums to avid private collectors like actors Leonardo DiCaprio and Nicolas Cage. But there was a problem. This time, facing financial strain, had Prokopi gone too far? As the T. bataar went to auction, a network of paleontologists alerted the government of Mongolia to the eye-catching lot. An international custody battle ensued, and Prokopi watched his own world unravel.